when children move out of the house. Each of these events can have significant effect on how you wish to deal with their assets if you pass away. There are still many people who don’t think about a will, or think that getting a will is not worth the time, effort, and expense. However, it is often the case that having a will can save your surviving loved ones significant amounts of money. 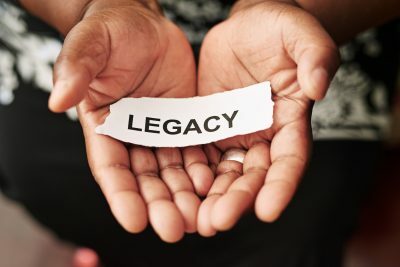 More importantly, a will that clearly spells out your wishes often helps preserve family unity and fosters good relationships after your passing. It is (sadly) surprising how a parent’s death, without a will, can lead to disputes that grow into bad feelings and contempt between beneficiaries who are often siblings. Further, if you die without a will, you need to be aware that the Alberta Wills and Succession Act applies and you effectively forfeit any say over who gets your assets. Many people are (unhappily) surprised to learn what the default distribution of assets is under the Wills and Succession Act. Want to learn more about the why’s and how’s of making a Will? Mark your calendar for June 7, 2017 @ 6:30pm and join Cam Smith, KMSC’s Student-at-law, who will team up with the Grande Pairie Council for Lifelong Learning to present a FREE workshop on making a will. For details and how to register, visit the Grande Prairie Council for Lifelong Learning Facebook Event page. the Last Will and Testament. Together these three documents are designed to provide you with comfort and peace of mind that your affairs will be handled in an efficient manner and in accordance to your wishes. Cam will also include a brief overview of the administration of an estate.